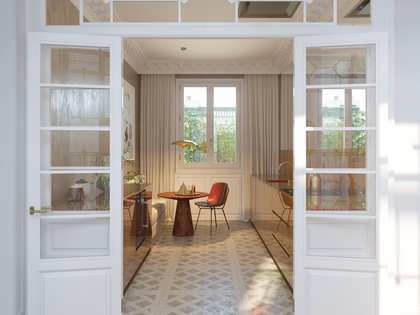 This property is part of the Mallorca-Rambla-Catalunya. Brand new development of apartments and penthouses for sale on Calle Mallorca with Rambla de Catalunya – properties with balconies and high quality finishes. 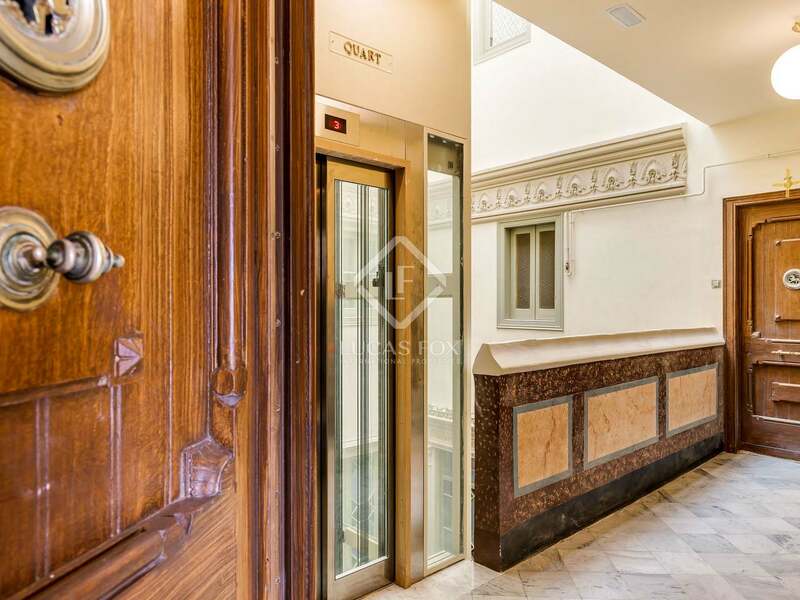 3-bedroom duplex apartment with high quality finishes for sale in a brand new development on Calle Mallorca with Rambla de Catalunya. Mallorca 236 is a brand new development in a recently renovated turn-of-the-century Modernista building. The building has an impressive stately entrance and benefits from a concierge service. 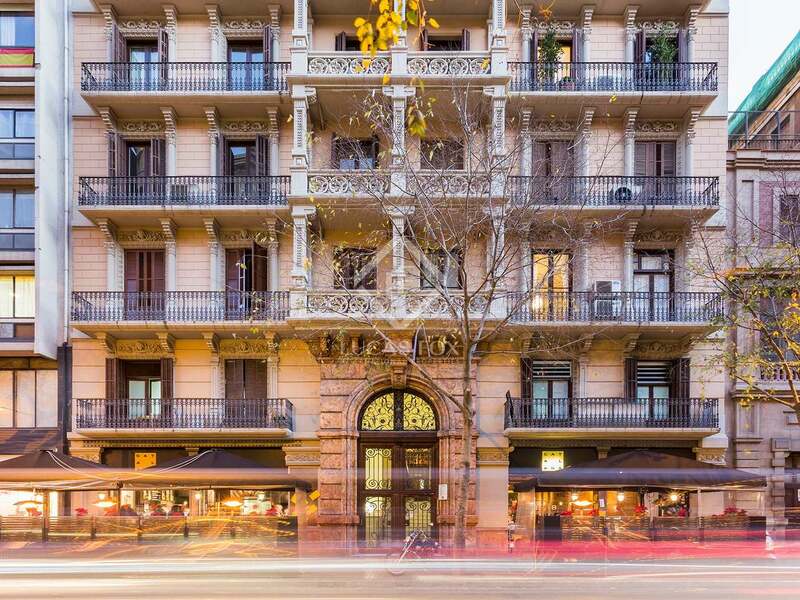 It is ideally located in the Eixample Right area of the city, in a crossing with the prestigious Rambla de Catalunya. 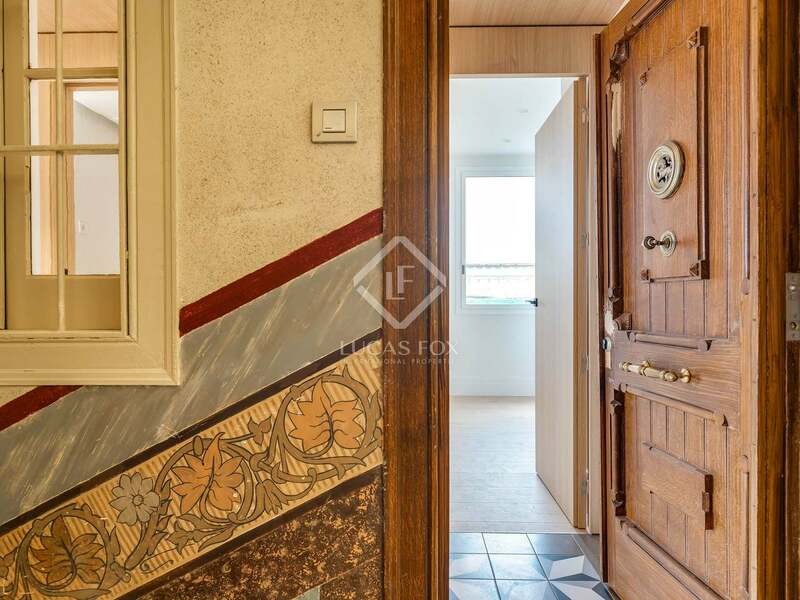 This property is a duplex apartment measuring 140 m² with excellent quality finishes and abundant natural light. 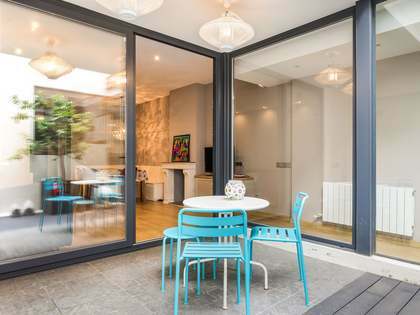 It offers an open plan living room, dining room, kitchen and a typical Eixample gallery overlooking the interior patio on the lower floor. There is also a guest toilet on this level. Upstairs we find 3 double bedrooms, one which has an en-suite bathroom and there is a second shared bathroom. 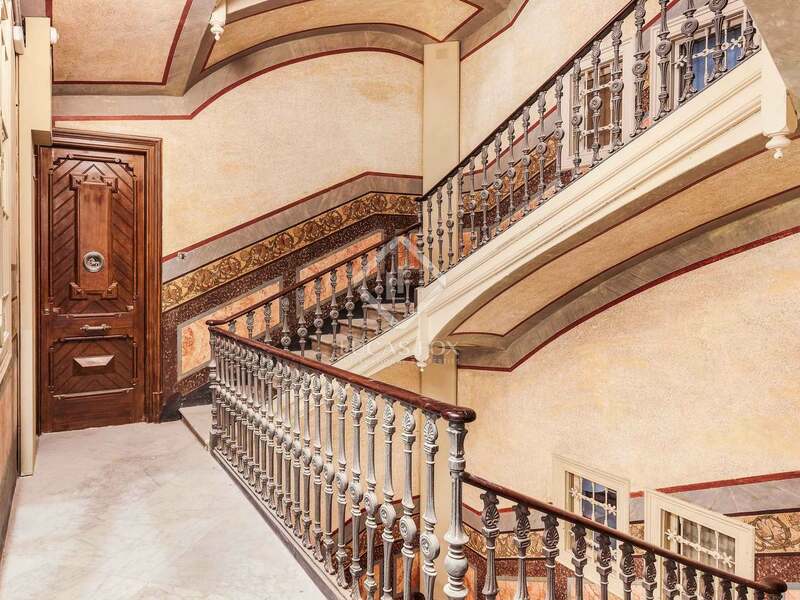 A great opportunity to acquire a high-end duplex apartment in this unbeatable Barcelona location. 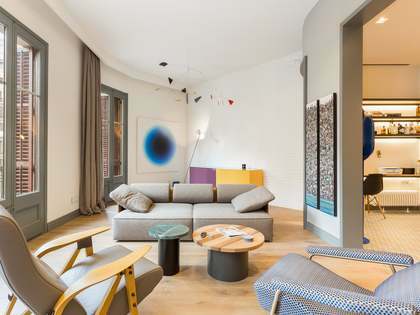 This new development enjoys an unbeatable location on Carrer Mallorca, very close to Rambla de Catalunya, in the Eixample Right area of the city. Eixample, which in Catalan means 'extension', is Barcelona's most centrally located neighbourhood. The area is characterised by its streets designed in a grid pattern, the vision of architect Ildefons Cerdà, who combined the needs for traffic flow with light and ventilation. The needs of the residents were also taken into account so you can find schools, hospitals and markets at almost every few blocks. Art Nouveau and Modernista architecture dominates the area, in particular that of Antoni Gaudí whose works La Sagrada Família, Casa Batlló, and La Pedrera can all be found here. There are also many new buildings as well as offices, markets, restaurants, hotels, cinemas and international designer stores. It is also the central business district of the city where the Stock Exchange and banks' main offices are located. The city's stunning main boulevard Paseo de Gracia divides the district into 'Eixample Left' and 'Eixample Right' and merges into the district of Gracia.